Today I wanted to follow up with the second part to the organizing sessions I had with a new client. When we met for our initial consultation she had three trouble spots in her home: the basement, the living room, and her daughter’s room. 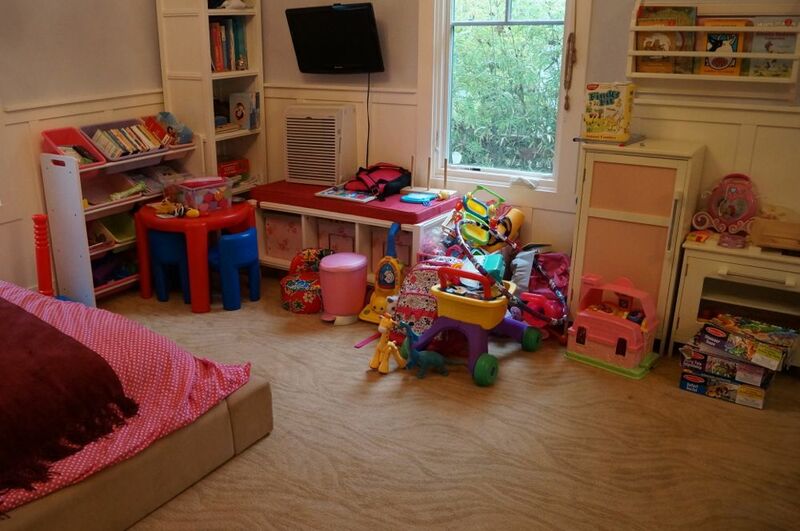 Matt and I tackled her basement first (I posted those before and afters last week) and came back for a second session to declutter and organizing the toys that were taking over the rest of her home. I give busy moms credit for having someone like me come in to help them with projects like this. 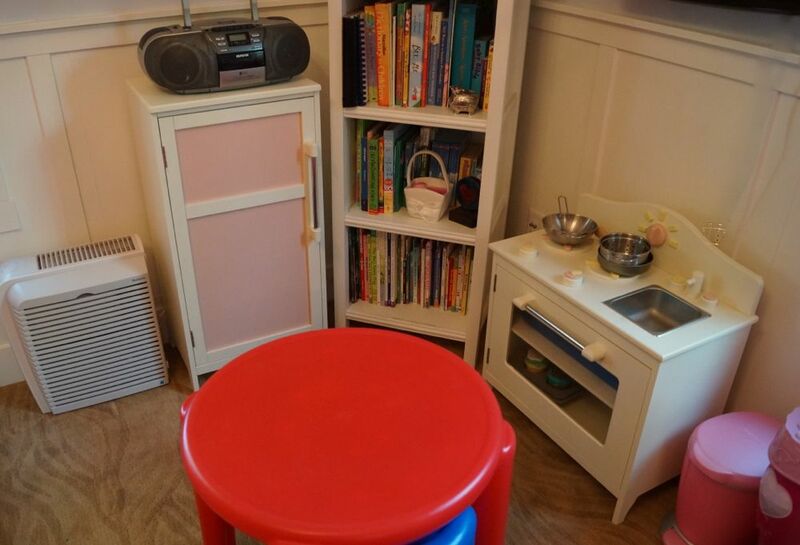 Matt and I were able to work on the daughter’s room and living room in tandem with no distractions or meltdowns from little ones. We sorted, purged, and rearranged furniture. Matt’s job was to figure out if all of the parts and pieces were intact and I think he enjoyed it. If a toy was missing parts or pieces it went into the giveaway bag. When we sorted the toys into categories I noticed that the dress up clothes and table took up a ton of room in the living room. Because of the volume I thought it would best if we moved it into the daughter’s bedroom and the change made a big impact. 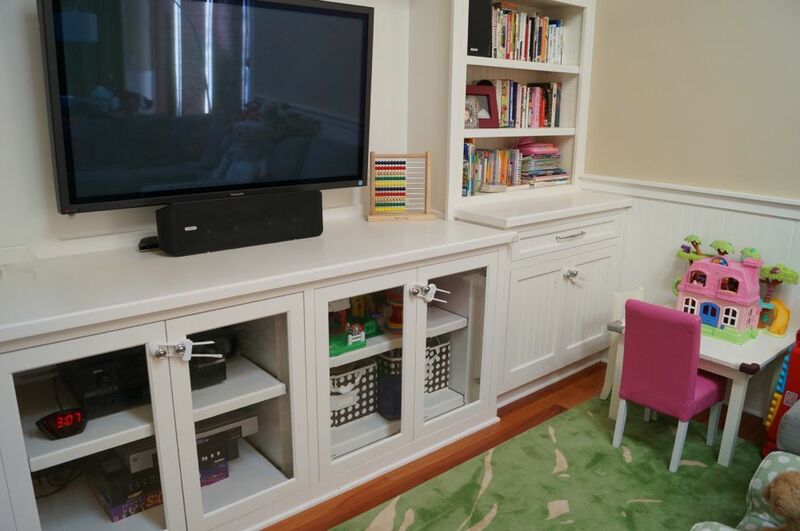 We swapped it with a storage shelf that was being underutilized in the bedroom, now it stores all of the little pieces that were hiding in big bins and under the sofa. 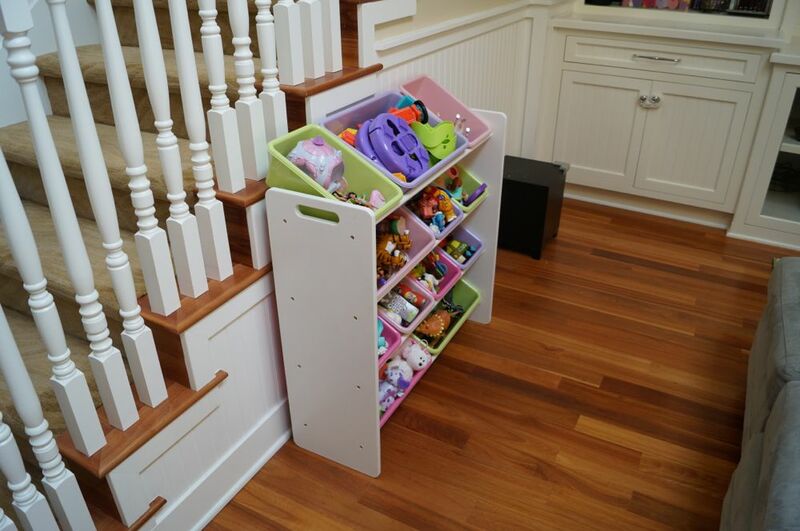 These shelves are great for little ones because they can see all of their toys at a glance. 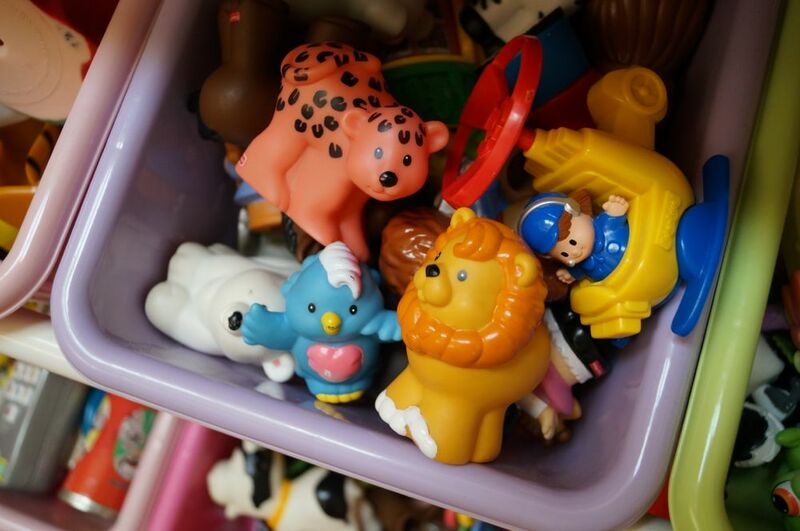 Each bin has a different type of toy, princesses, little people, animals, trucks, mister potato head etc. 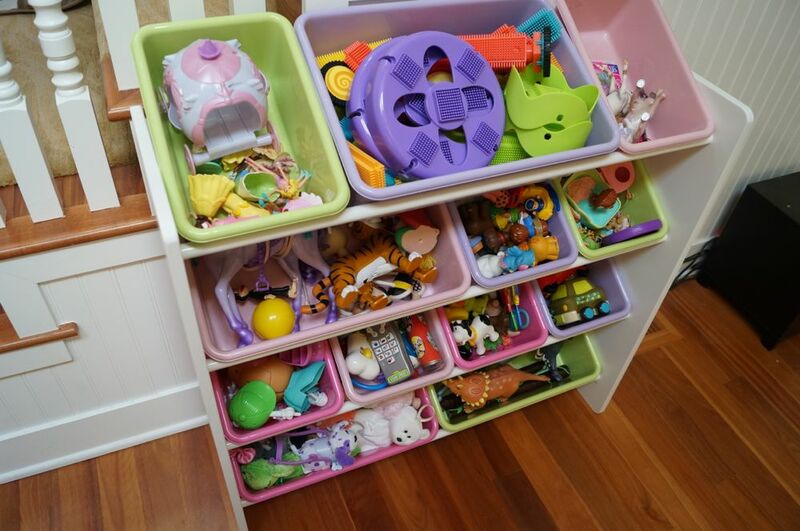 If you have one of these shelves try to have your kids help you sort the toys and put them away at the end of the day. They will find the task fun and you will be giving them organizing skills that they will have for the rest of their lives. 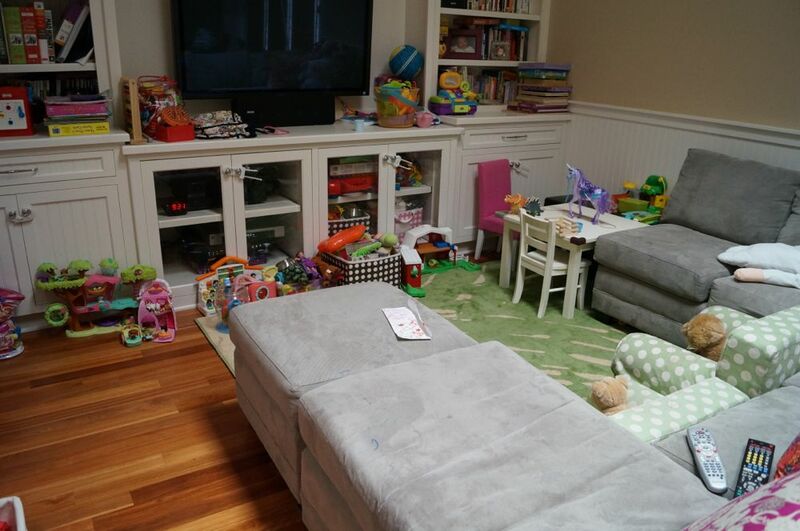 We cleared the clutter that surrounded the TV and placed the rest of the toys on the shelves under the TV. 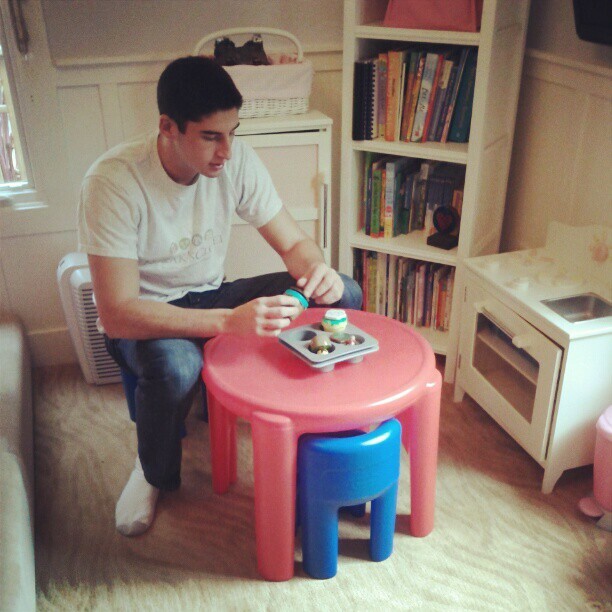 The room is still kid friendly and the and everything has a home, love that! 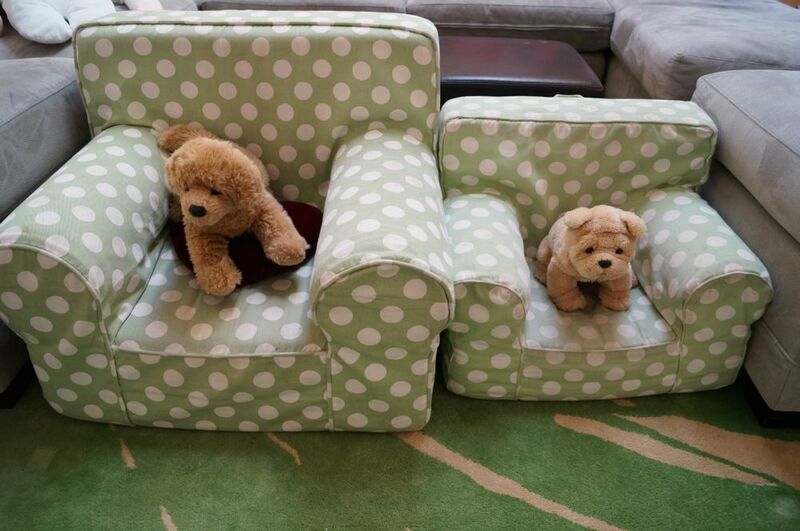 I was going to move these puppies into the stuffed animal bin in the bedroom but Matt told me they were obviously placed there on purpose by my client’s kids and needed to stay. Good advice Matt! 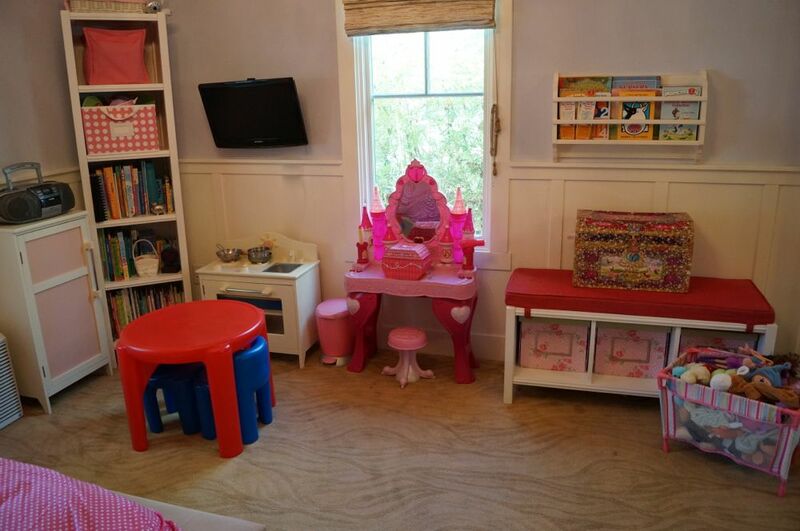 In the daughter’s room we rearranged the furniture and set up a kitchen area on one side of the room and put the dress up on the other side of the room. We also made room in the closet to store all of the puzzles and games (I forgot to take a picture). We all enjoy a nice and neat kitchen! By moving the slim bookcase on an angle I think the room really opens up. I love this little nook! Matt had to check it out too! 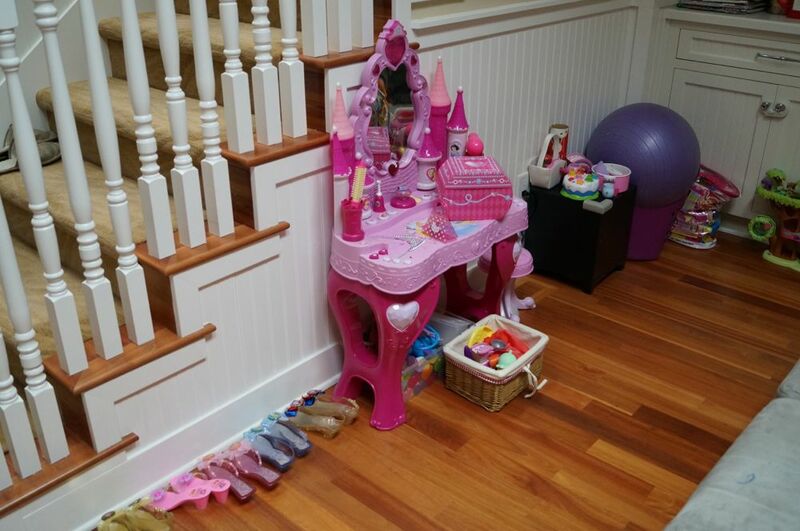 The storage bench was moved to the right and now houses all of the dress up clothing. 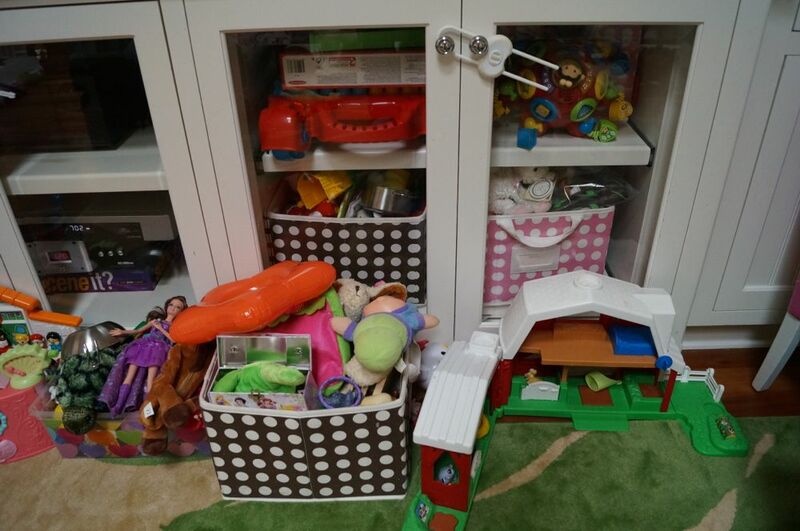 Having the two categories with the most items in her room, play food and dress up, will curb the clutter in the rest of the house. 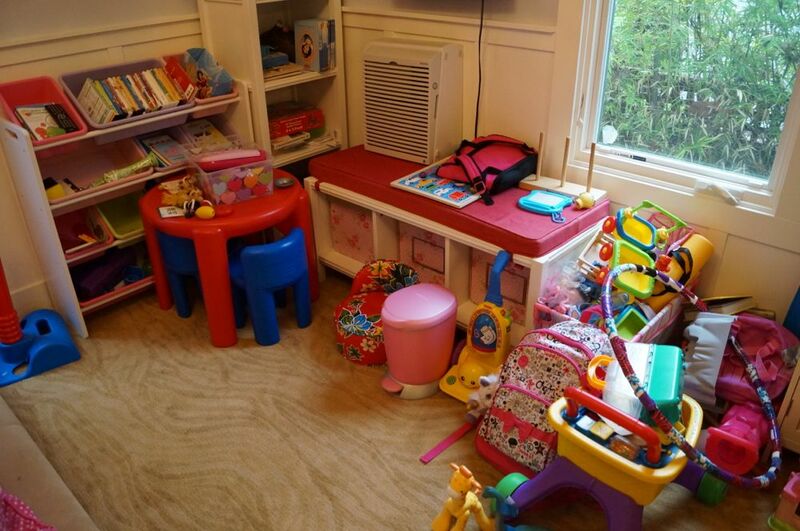 Now that there are clear zones my client and her daughter will be able to easily maintain the spaces and they can quantify what they have and what they need (and don’t need). Well done Amanda! It “feels” relaxed in the after pictures! 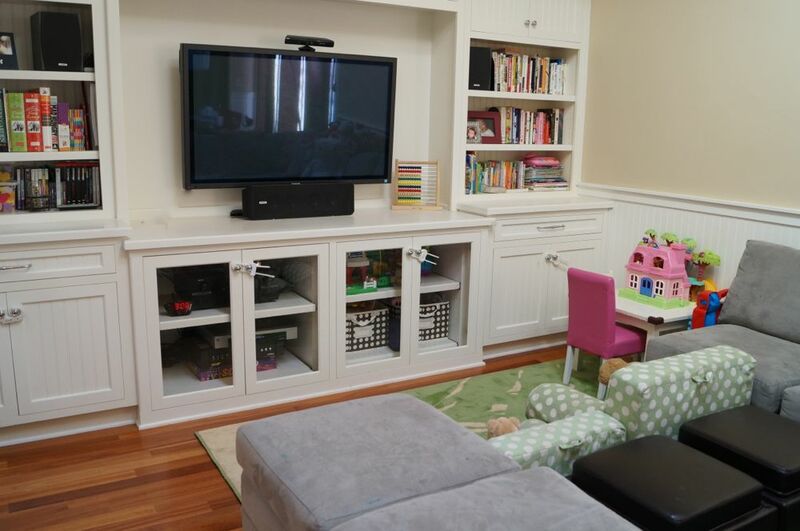 What a great play room! I am sure that little girl was excited to play not that she knows where all of her little treasures are. Great job!